Rejuvenation comes in a bottle! 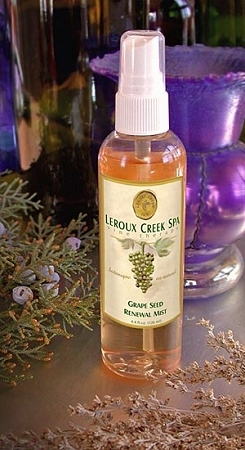 This light mist refreshes and hydrates the skin with just a spritz. Essential oils provide the calming benefits of aromatherapy. Use anytime for a quick pick-me-up for the face. Ingredients: Distilled Water, Grape Seed Extract, Lavender & Rosemary Essential Oils, Potassium Sorbate.